The relatively advanced technological features of the F-4U Corsair kept it afloat in an ocean where propeller-based fighters were being shunned in favor of jet-powered aircraft. It is undoubtedly one of the most famous aircraft fighters built during the Second World War due to its distinctive gull-wing design. This unique feature allowed the Corsair’s propeller to spin during takeoff and landing without hitting the ground. The F-4U Corsair saw action during the Korean War as a formidable night fighter and carrier-based fighter. Production of the fighter aircraft started in 1938, and it was later used as a carrier service aircraft in 1944. 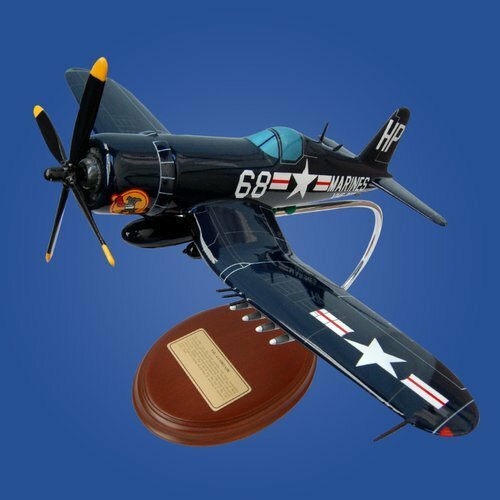 Its outstanding speed and maneuverability led to the F-4U Corsair’s good run, which helped it remain in production longer than any other piston-engine fighter in US history.